Upon the retirement of Justice Anthony Kennedy in June 2018, a number of things were set in motion. A seat upon the prestigious Supreme Court of the United States (SCOTUS) became vacant, and as a result, the fate of daily life in the United States as we know it came into question, since the Supreme Court plays a vital role in informing daily life in the United States of America. President Trump has stated, repeatedly, that anyone he nominates to the highest court in the nation, the Supreme Court, will be a willing dissenter to landmark decisions such as Roe v. Wade, a decision that decriminalized the access to safe abortions. How can it be, that a judge sitting on the highest court in the United States is nominated based on his political viewpoints, rather than his ability to judge facts and come to a decision based on the Constitution of the United States? Isn’t that setting a rather dangerous precedent? As a result, it’s understandable that the nomination of Brett Michael Kavanaugh sent a fission of uncertainty throughout political circles. 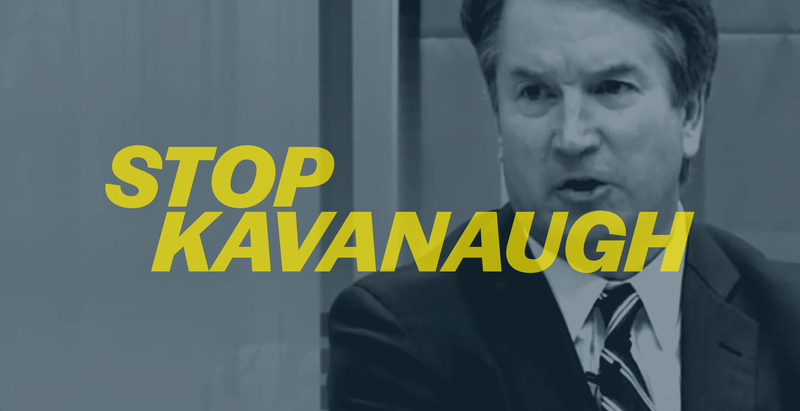 What would Justice Kavanaugh bring to the table? Will he bring impartiality, or is it fair to label his nomination partisan? To understand what a Kavanaugh appointment to SCOTUS might mean, specifically for Muslim women in the age of a “constitutional” Muslim ban, we can peruse Judge Kavanaugh’s significant 12-year record on the U.S. Court of Appeals for the D.C. Circuit. The hope is that this might indicate how Judge Kavanaugh feels about precedents that citizens of the United States have relied upon to make life-altering decisions with regards to their own standards of living. The first issue to explore is Kavanaugh’s outlook on the authority of the Executive Branch. In a 2009 article found in the Minnesota Law Review, Kavanaugh claimed that Congress would do well to consider a law exempting the President of the United States (POTUS) from criminal prosecution and questioning. His reasoning? Kavanaugh claimed that his experience as White House Secretary during the Bush administration gave him first-hand insight into the complexity of being the President of the United States. He elaborated that POTUS should be able to conduct his job with razor-sharp focus, without the fear of criminal prosecution or questioning. If alarm bells aren’t already ringing, they really should be. It’s somewhat worrying that Judge Kavanaugh thought it appropriate to suggest that sitting presidents should consider themselves immune to prosecution, ergo above the law. As far as considering litigation a distraction to someone in a position as influential as the Office of the President of the United States, I would honestly hope that any sitting president of the United States would have thick enough skin to handle a little questioning by a criminal prosecutor or defense counsel. Additionally, the suggestion that the United States criminal justice system may arbitrarily question or prosecute anyone doesn’t indicate that Judge Kavanaugh holds the system in question in very high esteem. Back to the issue at hand, Muslim women have every reason to fear thinking such as this. Why? Well, a leader who feels he is free of consequences could easily use his unchecked power to wreak havoc on basic liberties such as a Muslim woman’s right to act with agency, to protest, or to move about without fear of harassment based on arbitrary elements such as a hijab. Moving on, whilst Brett Kavanaugh hasn’t been explicit on his opinion of the Roe v. Wade ruling, it’s notable that he lodged his dissent in October 2017 regarding the Washington Court of Appeals allowing a detained immigrant teenager to seek an abortion. Yes, I used the “A” word. As far as I see it, whether you agree or disagree with abortion is a personal matter. One cannot, however, deny anyone the right to make a choice, especially a choice as life-altering as having a child. Kavanaugh’s dissent is indicative of the idea that a woman’s right to make a choice is subject to a roundtable debate. It isn’t, and it shouldn’t be, and as Muslim women, whether we agree with the concept of abortion for ourselves or not, we must take notice of any incident where a woman’s right to choose is snatched away because whilst it may begin with an issue as polarizing as abortion, it may one day settle on something as simple as the right to move about freely. The next element of Kavanaugh’s thinking is the power extended to government agencies. Kavanaugh has repeatedly expressed his distrust of government regulation, an opinion on full display in his dissent in both, the case of the killer whale, Tilikum, attacking and killing his SeaWorld trainer, as well as the 1984 Supreme Court case, Chevron v. Natural Resources Defense Council. The former case resulted in SeaWorld facing sanctions from the Labor Department for not ensuring the trainer’s safety, and the latter concluded that judges should consider government agency interpretations when laws are found to be ambiguous. Kavanaugh’s response to both decisions was that these rulings would encourage “agency aggressiveness on a large scale”, and that decisions should be made exclusively based on federal statutes. What Mr. Kavanaugh seems to have overlooked in this scenario is that stripping agencies on the ground of the power to make recommendations equates to stripping an agency that may actually be in a better position to consider contextual scenarios that would be vital in forming a more informed opinion. This ties in neatly to Muslim women partaking in government agencies who may have a better cultural and contextual understanding of a situation at hand, yet have had their right to inform a decision rendered null because a man named Brett Kavanaugh didn’t approve of government agencies having a say. Finally, I come to the biggest issue at hand. It is undeniable that judgeson the Supreme Court have been known to uphold unconstitutional decisions by quoting and elevating the issue of national security. A clear and most shameful iteration of this is the Japanese-American internment camps of 1944, where hordes of American citizens of Japanese descent were rounded up and relocated to concentration camps. Fast forward a couple of decades and we find ourselves at a similar junction, where a “constitutional” ban on visas being issued to Muslim-majority countries has been upheld. Just because this restriction has currently been labeled “constitutional,” doesn’t mean that we won’t look back on this with shame in the future. More specifically, given Trump’s claims that he would initiate a “complete and total shutdown of Muslims entering the United States” early on in his presidential term, would it be so hard to believe that Kavanaugh, a man nominated by President Trump himself, would not bother to protest the legality of banning Muslims from entering the United States of America? To conclude, it is highly unencouraging that Brett Kavanaugh’s name was selected from a list researched and ordained by conservative institutions such as The Heritage Foundation and The Federalist Society. Throughout his career, Kavanaugh has indicated conservative leanings. Given President Trump’s anti-Muslim sentiments, as indicated through his own actions, amalgamated with Judge Kavanaugh’s belief that a sitting president should be immune from prosecution or questioning, the thought of yet another Supreme Court justice appointed by President Trump sure does feel like a reason to worry.